Explore a new, sultry persona with the John Hardy® Classic Chain Hammered Drop Earrings in 18K gold. Quadrangle drops feature classic chain and hammered motifs. 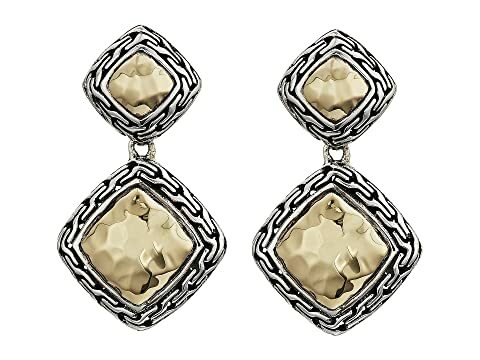 We can't currently find any similar items for the Classic Chain Hammered Drop Earrings in 18K Gold by John Hardy. Sorry!